This week I encountered a situation which reminded me of a clip from the hit-series Game of Thrones. In this clip Tyrion Lannister walks down a stairway into a dungeon, to unleash a couple of dragons. 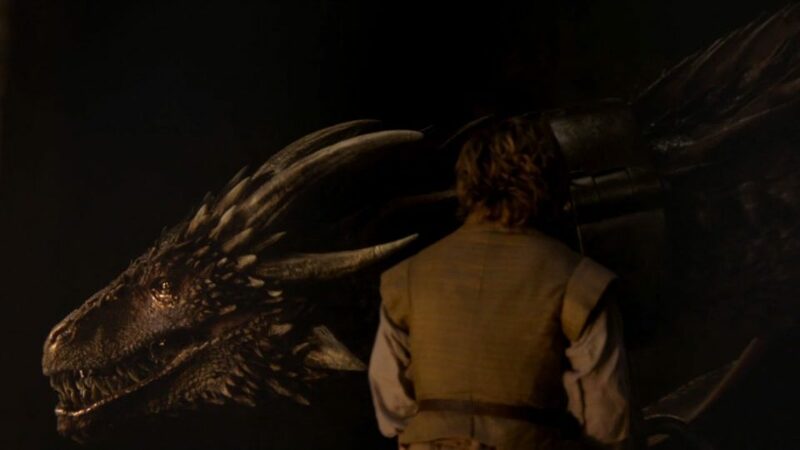 We get a glimpse of his face and see how terrified he is when he finally sees the dragons. The giant angry dragons snarl and puff at the little man that just walked down the stairs, but are also curious what he is doing there. He then starts to talk to the dragons and explains a bit about his motivation. He then touches the dragons to calm them and free them from their chains, trusting the dragons not to kill him. As soon as the first dragon has been set free, the second dragon bows for him like he’s asking him to release him too. Still scared and trembling, he walks back up the stairs. Knowing, or at least hoping that he did the right thing. I like to call this, their Dragon in the Dungeon. They could walk away from the dragon and leave it as is. The consequence would be, that you will never know if you ever needed the dragon and if you finally did set it free, it could be even angrier and you would still have to deal with the complex process which is probably even more complex. You can go to the dragon in the dungeon and just watch it getting angrier while it is still in chains, with the possibility that it kills you (you still need to release new features). This then becomes a change that you cannot use it in the future because it became too complex and you have to kill the dragon. You can go to the dragon the dungeon, aware of the fact it may kill you. You realize you just need to tame it. By being honest and transparent about your motivation, releasing the dragon, it will probably help you forward in the right direction. After a long discussion the domain stakeholders decided they will explore option 3. They want to go on the quest, trusting this is the right direction to take. All in the belief that when being fully transparent, not only to your stakeholders, but also to yourself and good things will happen. The more I’m coaching DevOps teams and looking for ways to become more transparent and give insights, the more I see organizations hiding things in a dungeon afraid of what could come out. Very rarely I find teams who are completely transparent in the way they are working or the processes that they are using, let alone that they have a common understanding of what the context and impact of these processes are. The highest performing teams I have seen have been those who were courageous enough to unleash the dragon, face their uncertainty and risk, and were completely transparent on their goals and vision. So what are you doing in your organization? Do you keep your dragons in your dungeon or do you embrace and unleash them, so it can eventually help you in your journey? Rutger is an Agile and DevOps enthusiast with a background in IT Service Management and an expertise in Quality Assurance. Rutger loves to bring people together from divers disciplines and let them work together to improve customer value and facilitating optimal team performance. 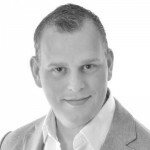 Rutger is also a Agile, Scrum and DevOps trainer for the Sogeti Academy and regularly gives training to colleagues and clients. In his free time Rutger is a Rugby premiership referee in the Netherlands. More on Rutger van Faassen.